These segregated units got their chance to shine when the French requested and received control of several regiments of black combat troops. Around this time, the front-lines of the French army were exhausted and angry, almost to the point of mutiny, so these fresh (and unwanted) forces were a Godsend. The most notable regiment was the 369th Infantry Regiment, also known as the “Harlem Hellfighters” among other names, who were organized in 1916 as the 15th New York National Guard Infantry Regiment and manned by black enlisted soldiers with both black and white officers. African-American regiments were usually accompanied by bands, but the Harlem Hellfighters’s band was led by a titan: Lt. James Reese Europe. Europe was one the earliest creators of jazz and he made his mark earlier in the decade with his Clef Club Orchestra, who performed at Carnegie Hall, and as band leader and collaborator for Vernon and Irene Castle. These African-American soldiers brought over not only their valor, but their red-hot music, which the French took to with alacrity. Now under French command, the Hellfighters did much to prove just how wrong the United States was when segregating troops and refusing to use their black regiments. By the end of the war, 171 members were awarded the Legion of Merit, many were awarded Distinguished Service Crosses, and Sgt. Henry Lincoln Johnson, a railroad porter who, alongside Pvt. 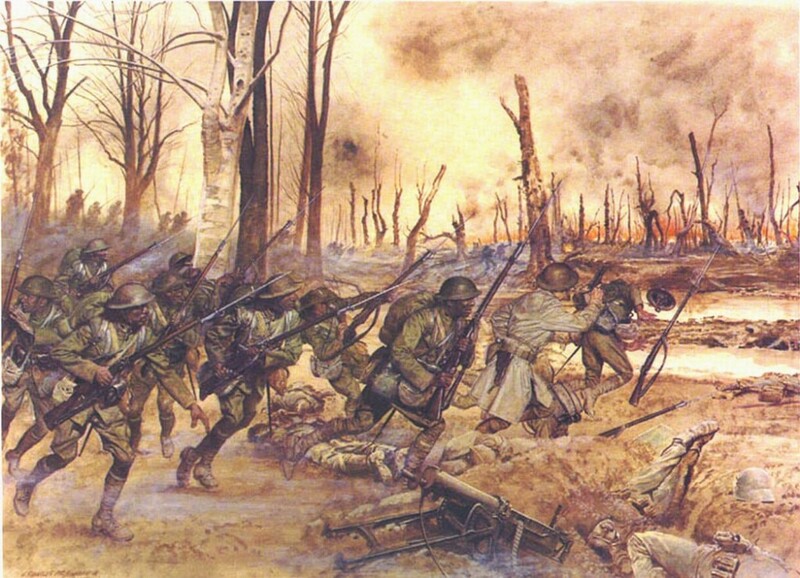 Needham Roberts fought off a 24-man German patrol with only a rifle used as a club and a bolo knife between them, was awarded the French Croix de Guerre. No one could ignore these achievements, and when the 369th returned to the United States, it was the first unit to march up Fifth Avenue from the Washington Square Park Arch to their Armory in Harlem, and their unit was placed on the permanent list with other veteran units. Despite their unwanted or diminished roles in the Great War, African-Americans in combat, in nursing, and in civilian roles served their country in any capacity they could, and proved themselves equal to their white countrymen and women. The End of an Era…Or Was it? With the declarations of War in August of 1914, the epoch alternately known as the Edwardian age, La Belle Epoque, or more ominously, fin de siècle, ended with—literally—a bang. Nearly one hundred years after its conclusion, WWI appears a preventable tragedy, or a baffling piece of history, and is mourned for the loss of “innocence” with which the long, sunny summers bathed the Edwardians. 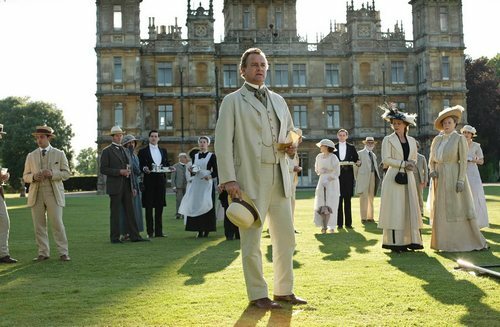 On its surface, Downton Abbey promulgates this image, though a closer look at the twists and turns of the script worries at the genial, dazzling sheen. In reality, though war was unexpected, it was largely inevitable (Mr. Pamuk’s presence in England was not entirely for pleasure!) and when it was declared the world seemed to heave a sigh of relief and shrug its shoulders in anticipation of relieving the incredible tension built up between the Powers and its satellites stretching back to the unification of Germany in 1871! In the wake of the disastrous Franco-Prussian War (1870-71), which saw the demise of Napoleon III’s Second Empire, this bold move by Prussia disrupted the balance of power set in place during the Congress of Vienna in 1814–15, and set the stage for the diplomatic, and sometimes military tussles, of the period between 1877 and 1914, which culminated in the inescapable specter of the Great War. And yet, society was largely ignorant of the impending conflict. 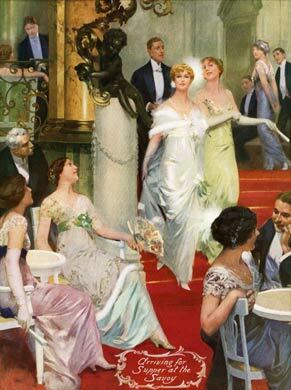 The social seasons of Paris, London, New York, et al remained brilliant, and the only turmoil worrying England was domestic: militant suffragettes (though force-feedings and the “Cat and Mouse Act” forced leaders of the movement to flee imprisonment), the Irish Question, and “serious industrial unrest and an enormous increase in trade union membership, which affected all industries.” But not even the rising nationalism within the British Empire (notably in India) failed to alarm the English. Mostly, the topic of war remained unfathomable because so many believed it utterly impossible in the face of so many exciting technological advances, advances that proved the might and intelligence of mankind over its formerly primitive state (ironically, technology hastened the war and increased its deadliness—dreadnoughts, chemicals [mustard gas], submarines, airplanes, machine guns, etc). Besides, war was simply out of date! Christmas Eve, darkness fell at about 7 pm on a long line of trenches held, on the one side, by a body of Saxon troops, on the other by the Leicestershire Regiment, the London Rifle Brigade, and some other British units. With it came a sudden calm. The German snipers seemed to have disappeared, and then, the sound of carol-singing rose from the trenches, and at that the British snipers in turn ceased firing. 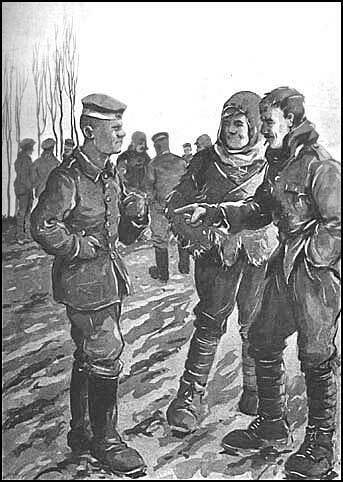 The Germans invited the English out, and very soon, fires and candles were burning along the parapets hitherto guarded with ceaseless vigilance, and the men were fraternizing in a crowd between them, exchanging gifts and experiences, and agreeing that the truce should continue ’til midnight of Christmas Day. 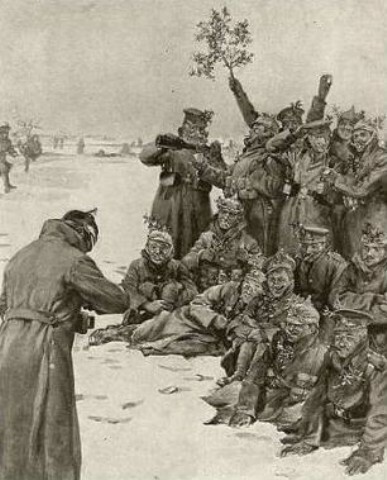 Christmas Day passed in burying the dead, whose bodies lay in scores between the trenches; in carol-singing, each side cheering for the other; and in a football match, which the Saxons won.